Services & So Much More! Cleaning 10’s of thousands of homes & businesses… including your neighbors! From top to bottom, inside and out, we clean it all! Scrubby Corp has been providing professional cleaning services to residents of Olympia and the surrounding cities for over 3 decades. We are a family-owned and operated cleaning company with an unrivaled dedication to customer satisfaction. With top-notch services at unbeatable prices, it’s no wonder we’re your locally preferred cleaning service. Whether you’re looking for a one time service or regularly scheduled maintenance, Scrubby Corp will customize a package to meet your individual needs. We offer a wide range of specialized services, such as dry steam cleaning and emergency water removal. When you hire Scrubby Corp, you can expect outstanding service along with affordable prices… and we guarantee to deliver! Scrubby Corp is committed to protecting and preserving the environment. We use eco-friendly products that are safe for your family and pets, and we invest in specialized equipment that, in many cases, eliminates the need for cleaning solutions. We don’t just dump our wastewater. We pay to have it treated and recycled, and our reverse osmosis process is BPA approved. We source our equipment from companies right here in the Great Northwest and make it standard practice to support locally owned business. Let Scrubby Corp take care of it for you! The time that you save having us do your cleaning, is more than worth the expense. 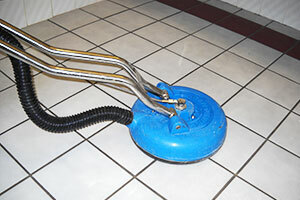 Are you in need of carpet cleaning, house cleaning, pressure washing, window cleaning, or tile and grout cleaning? Scrubby Corp is a full-service cleaning company, offering multiple individual services or cleaning service packages. We will customize our services based on your needs and budget. We have a variety of specialized services as well, such as dry steam cleaning and emergency water removal. Whether you want us for a one-time service or are looking for professional cleaners on an ongoing basis, we look forward to working with you. I have worked with Scrubby Corp for nearly 10yrs. They perform post construction cleaning for my remodeling projects. Their work is excellent putting a final shine on our work. Many of my customers have praised Scrubby Corps fine work in my business reviews! 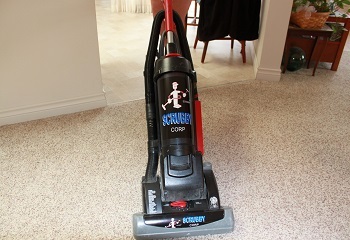 I am a church caretaker and have used Scurbby Corp for carpets and upholstery at the church for a couple years now. They are professional, punctual, and do quality work. We are a green sanctuary congregation and Scrubby Corp worked with me to find and use green cleaning products that the congregation approved of. © 2019 Scrubby Corp. All Rights Reserved.